If you’re considering to buy a bike, then you already know that it can be a bit tricky to choose what fits you the most. There are several types to choose from, and they all have a specific purpose and designed for certain roads. Knowing why you need it and where you’re going to ride it can help you narrow down your options. The main categories that you can find are the road, mountain, and hybrid bikes. Each one includes subcategories that you can choose from based on your needs and riding skills. There are also special ones for kids and women that are designed to be more comfortable. Before purchasing you will need to know the difference between them so that you’d be able to buy the suitable one. They are lightweight, have smooth and skinny tires, and they’re lighter than other types. You can also use it for racing and long-distance rides. However, it’s basically designed for smooth pavement use, which can make it unstable on unpaved roads. They can be used on paved roads too. But they are mainly designed for unpaved ones, as they have a better braking system and shock-absorbing feature. They are the perfect choice if you want to go on off-road trails or climb hills. 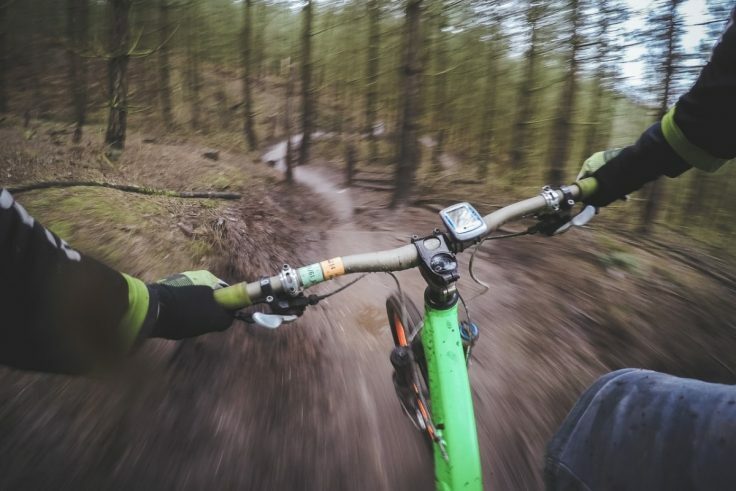 Whether you’re a beginner or you want to change your old one, the winning bike can help you decide the best mountain bike for you. They are suitable for those who want an on-road and off-road bike. They have padded seats that provide comfort while riding. Each hybrid bike has specific features and equipment that comes with it, so it’s important to look for the features that suit you before buying. The handlebar can be a factor in the comfortability and speed of your bike. That’s why it’s important to select it carefully. There are four main handlebar shapes to choose from: the drop, flat, riser, and mustache bar. It is mainly found on road bikes and is known for its lightweight which makes it the best choice for the fast riders and adrenaline junkies. The drop handlebar allows more than one hand position. But unfortunately, it wouldn’t be your favorite if you have back problems as it forces you into a hunched over the position which hurts the lower back muscles on the long term. The second shape you will find is the flat bars. You can find it placed on hybrid bikes as well as some of the road and mountain bikes. They weigh more than the drop bars, but they allow you to be positioned in a lot more relaxed position. It is a bit flexible to extend a little upwards and backward towards the rider. It lets you have a wide and clear vision of the trail ahead of you as well as having an excellent control while steering. It’s mainly found on mountain bikes. Some people prefer the mustache bar which looks a bit like the drop bars but with a slight drop. It allows some flexibility with the hand positions as well as placing you a bit more upright in comparison to the drop handlebars. It is always preferred on road bikes and hybrid ones. Along with knowing the types and handlebar shapes of the bikes, you should keep in mind your budget and the place you’re going to buy it from. Another important piece of the perfect bike is a comfortable seat. If you’re not comfortable when sitting on it, don’t buy it. Make sure it’s slightly soft and made from breathable materials since you’re gonna sweat a lot when riding the bike. Don’t forget about the pedals. They are an important piece of safety since just a foot slip might lead to falling and possible injuries. And multiple types of clipless pedal systems. As you can see, there are a lot of things you must consider before buying your perfect bike. Just make sure you’re choosing your bike from the functionality and comfort perspective, and not from the aesthetics. These tips for getting the perfect bike will help you narrow down your option and you will have a better idea on which bike would be the perfect fit for you. As you or your parents get older, you may need to take mobility issues into account and make some bathroom modifications accordingly. A mental illness can hit you hard, even though you are a sports pro. Here are some sad stories of famous sportsmen who had to deal with it. A health coach is a great job for those who love fitness and helping other people. If you plan on becoming one, follow these five steps. CBD products are in trend now, but they're also misunderstood by many people. So we'll try to give the right answers for the FAQs about CBD. Who Can Really Benefit From Taking CBD Oil? Taking CBD oil can be helpful for most of us, especially those suffering from sleep or neurological disorders, anxiety, depression, or ADHD. Sometimes you feel like exercising at home. For those days, check out this collection with my favorite home workout resources online.